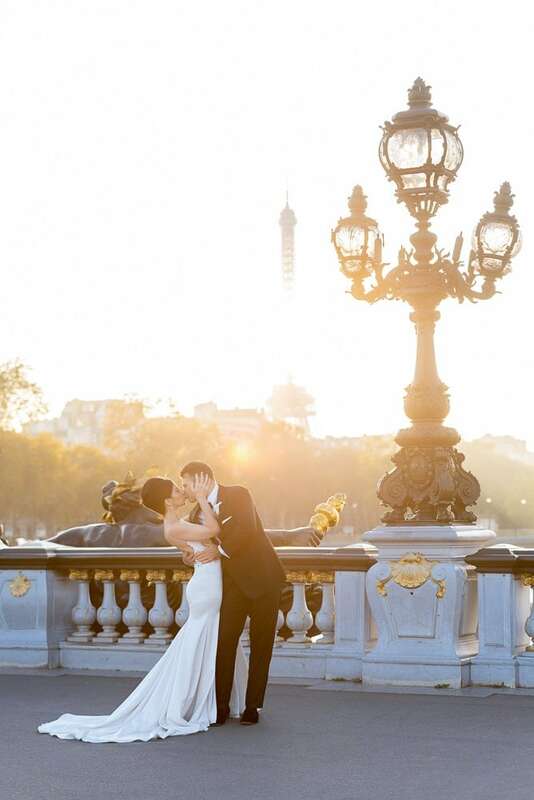 Paris is well-known for being the ultimate destination wedding location: from the secluded side streets to the sun setting behind the romantic Eiffel Tower, it really is a magical city. 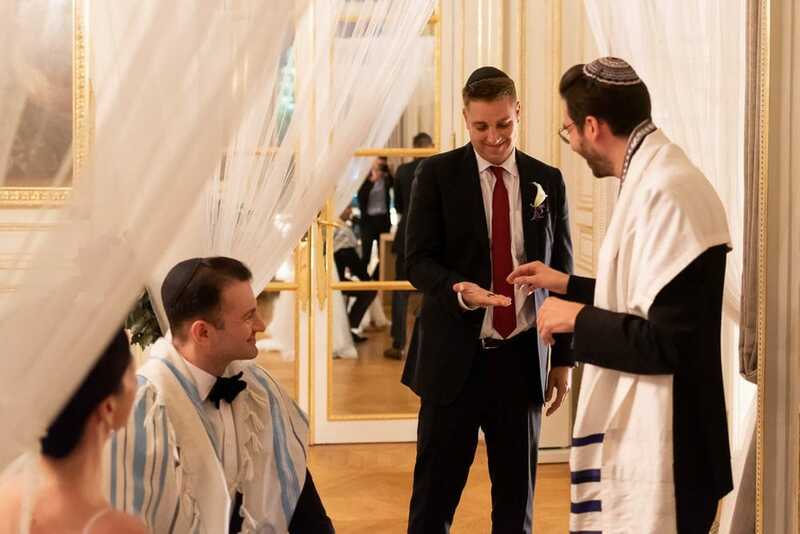 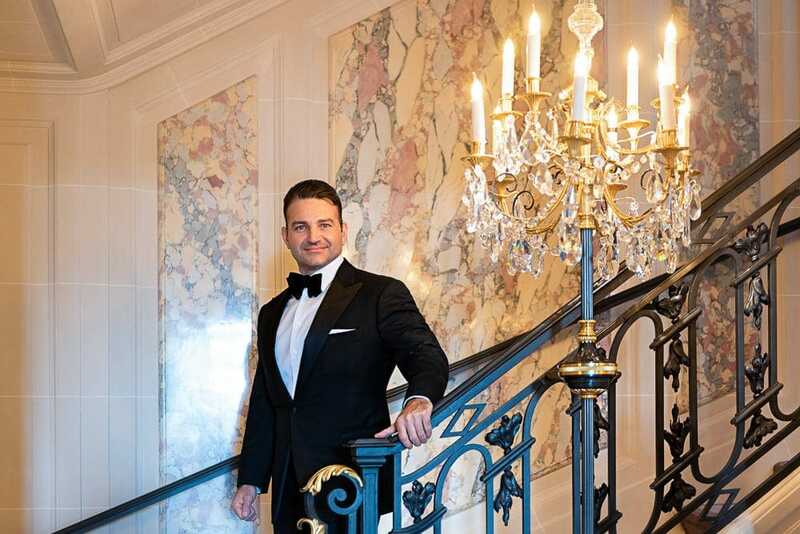 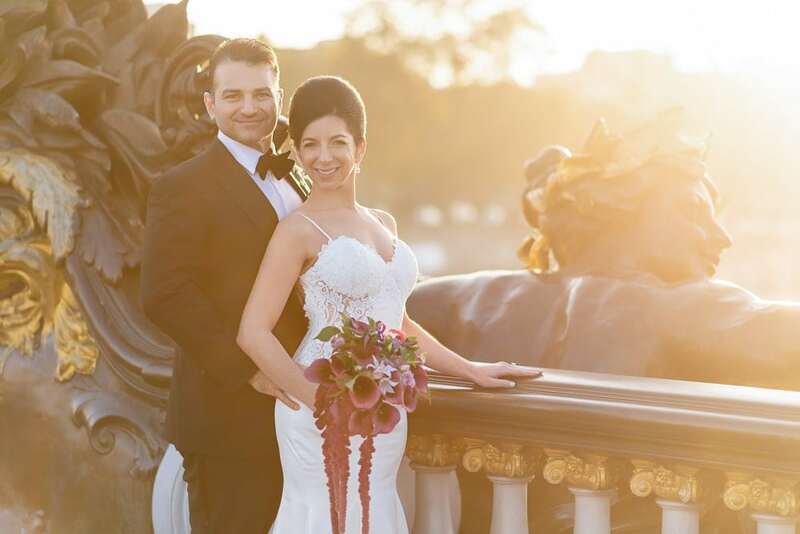 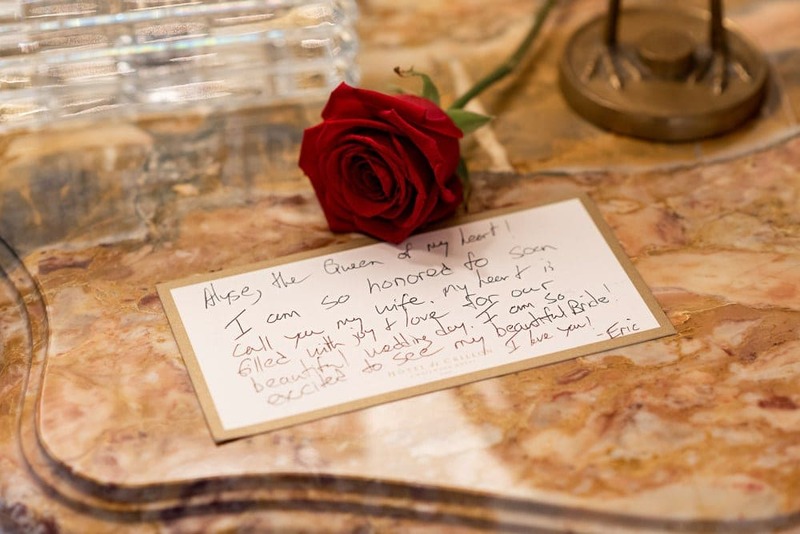 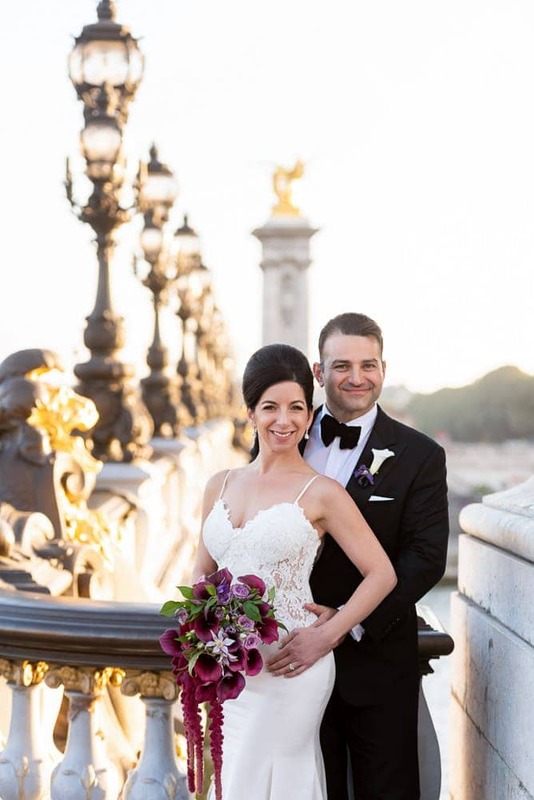 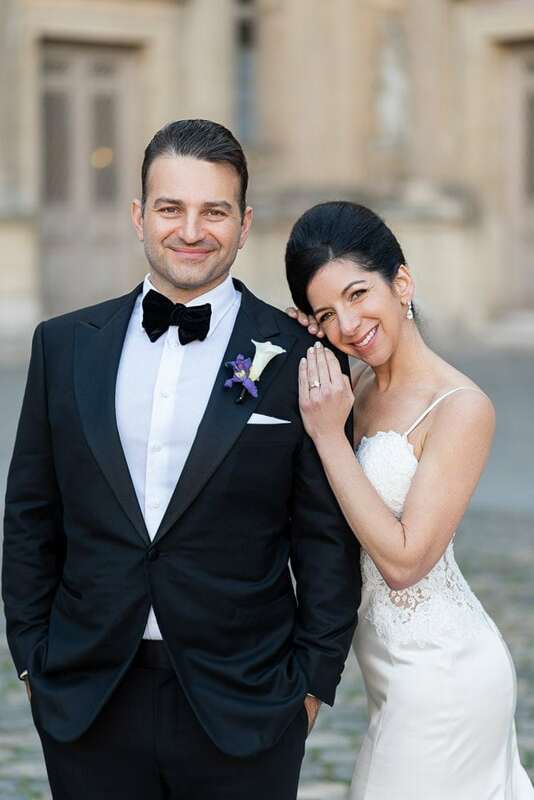 For Alyse and Eric, a Hotel Crillon Paris wedding surrounded by their loved ones was the dream. 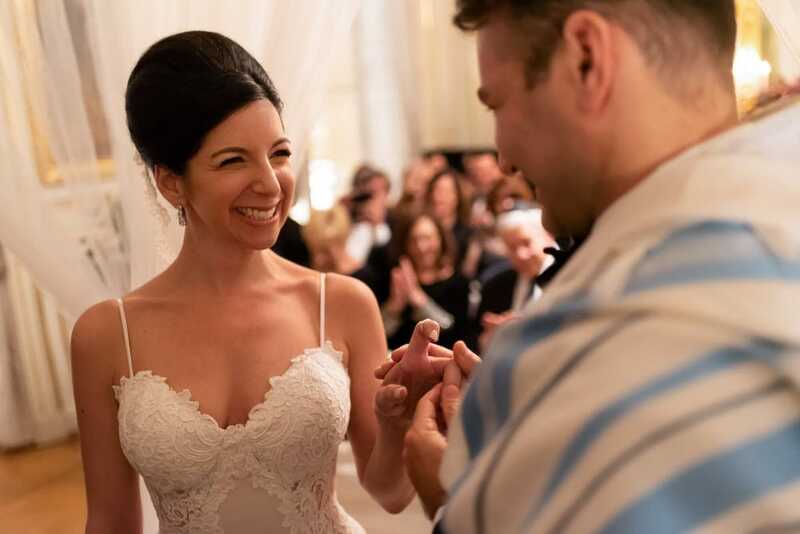 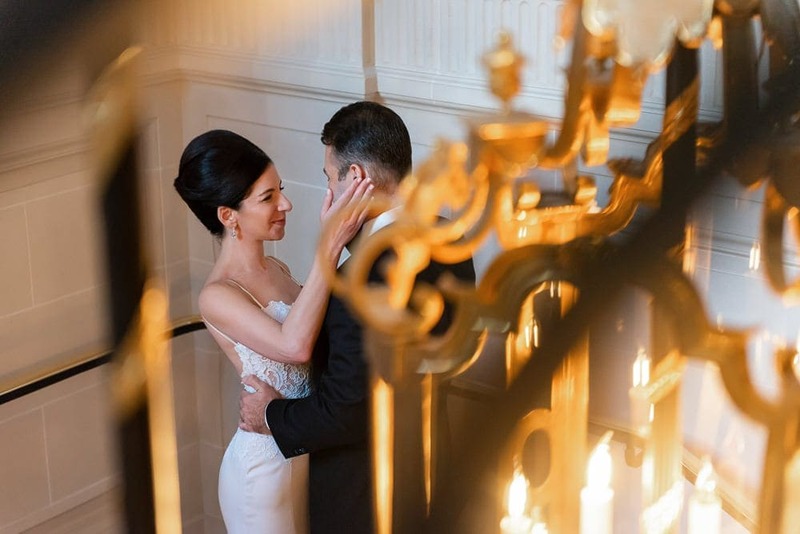 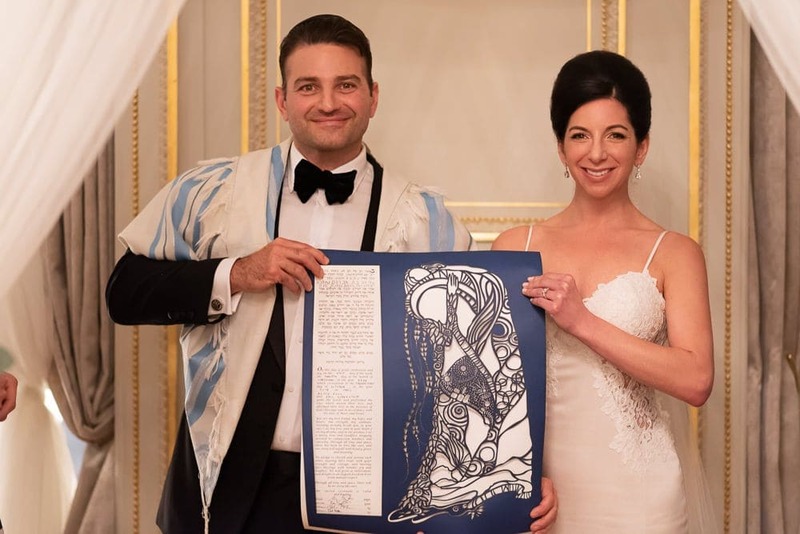 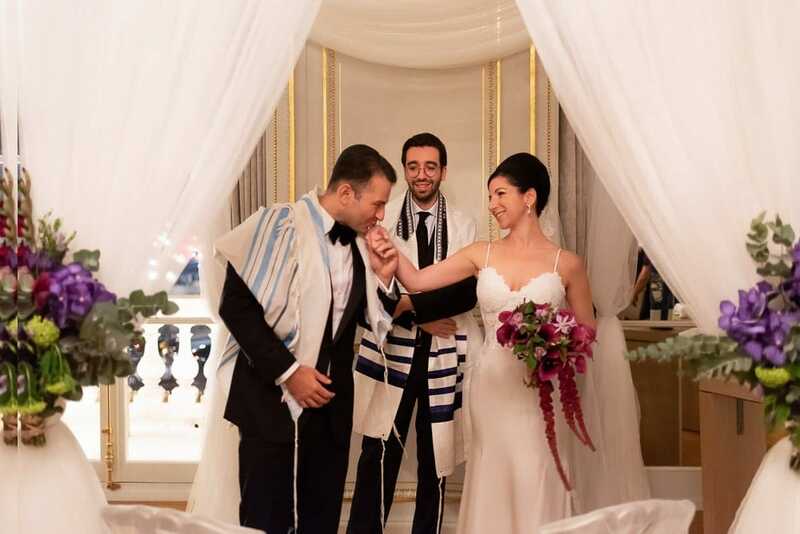 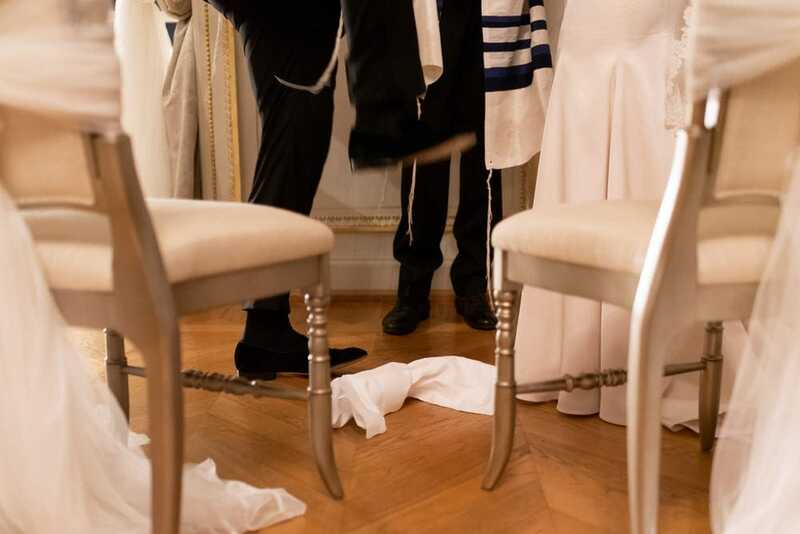 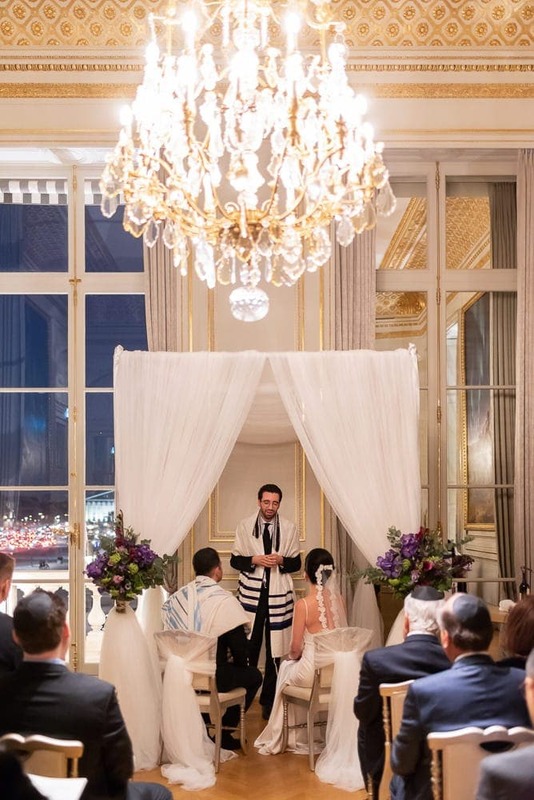 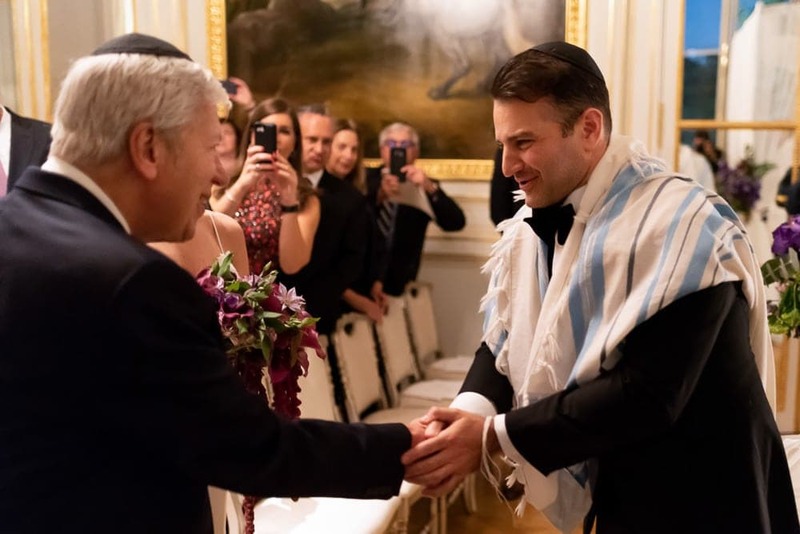 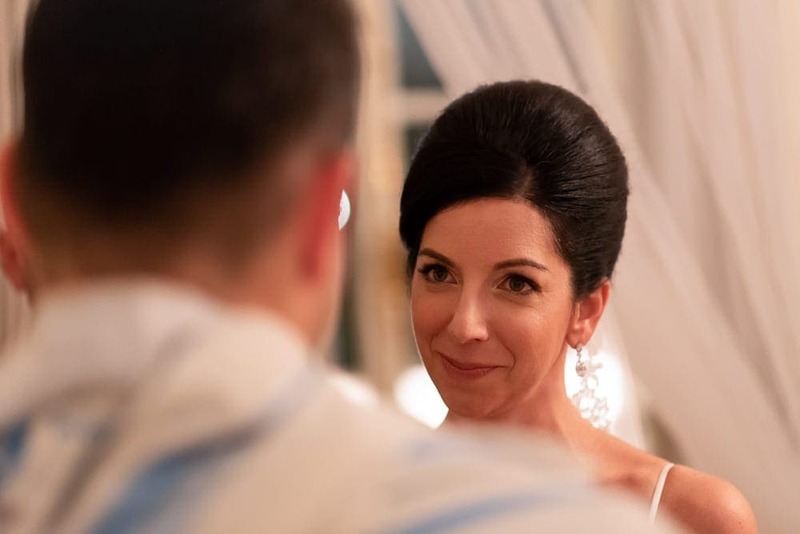 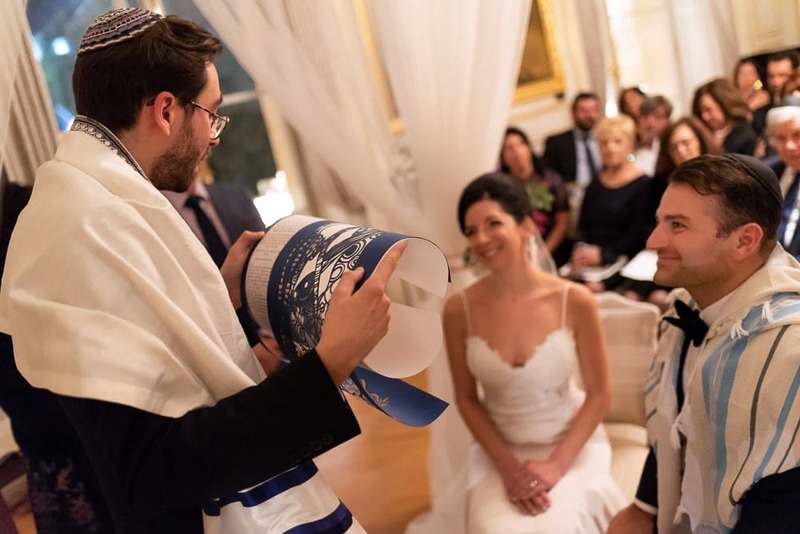 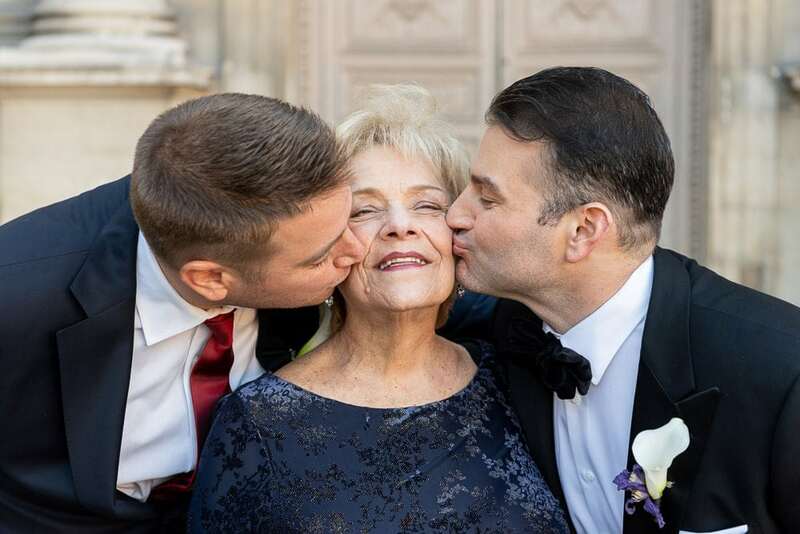 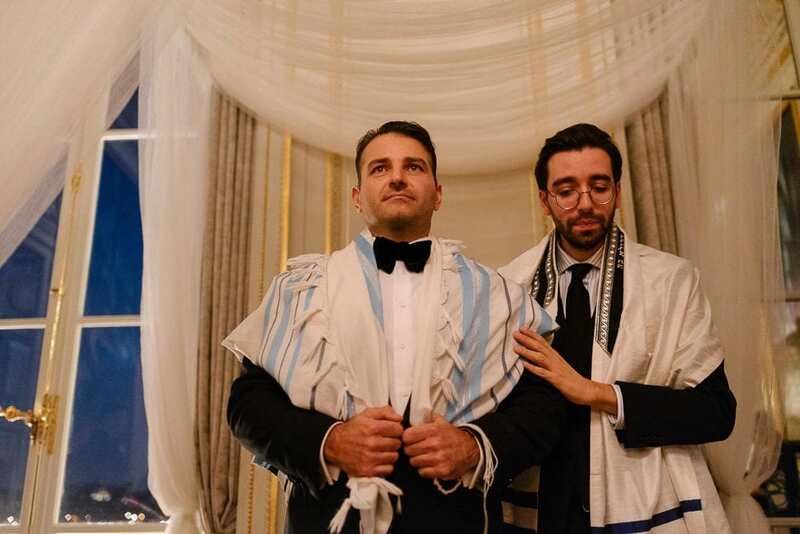 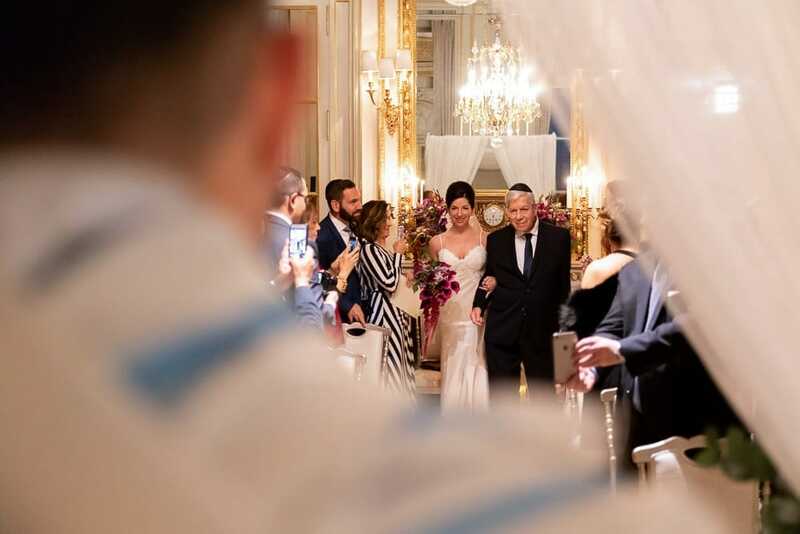 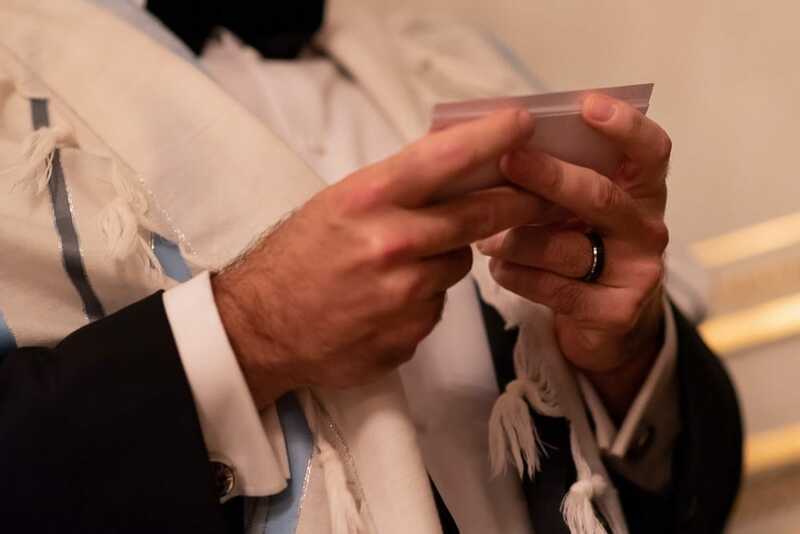 Alyse and Eric’s fairytale wedding began with some intimate photographs in their luxury surroundings before celebrating their Jewish heritage with the traditional marriage ceremony. 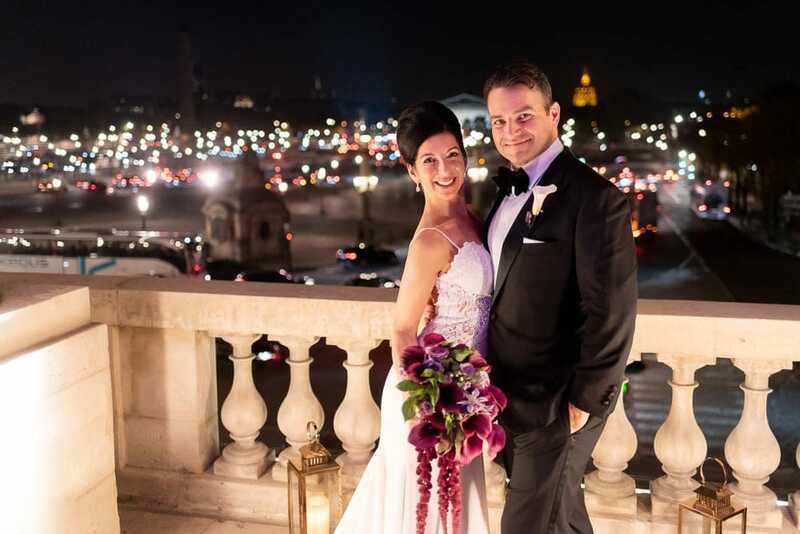 We then visited some of the iconic locations around Paris, including the Louvre and Alexandre III Bridge to capture the family pictures! 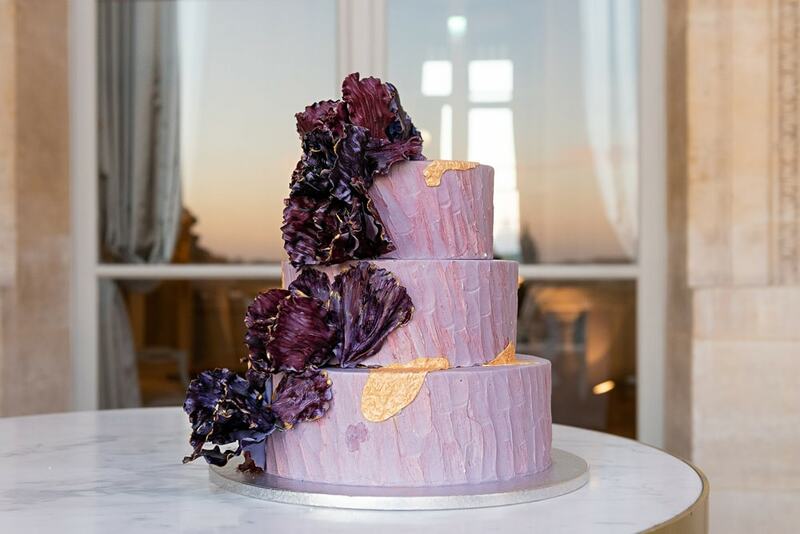 The party continued back at the Crillon with a picturesque cake and champagne on the terrace overlooking the Parisian night sky. 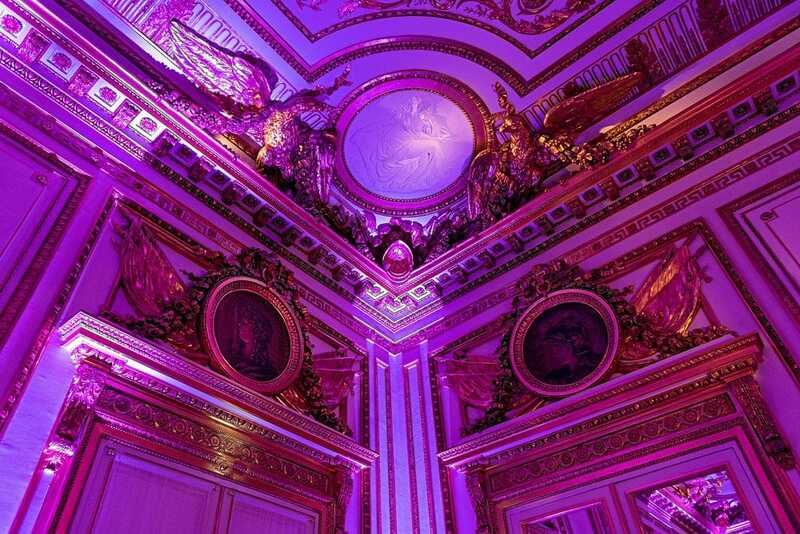 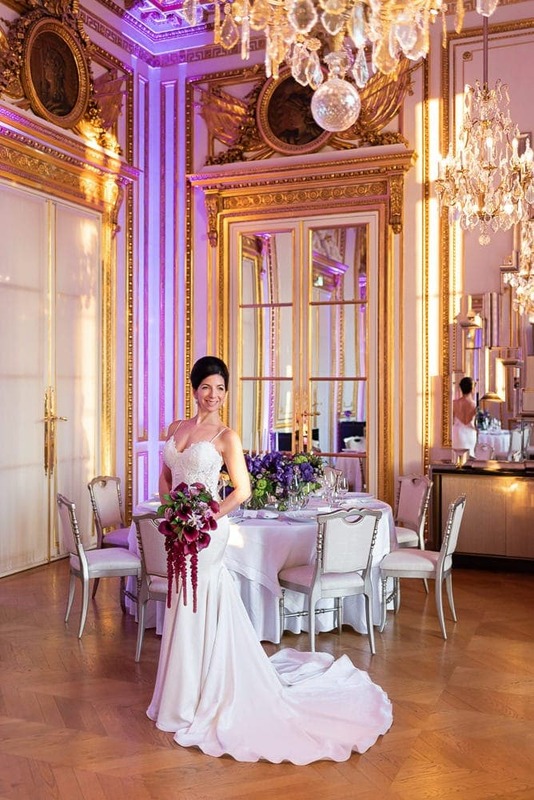 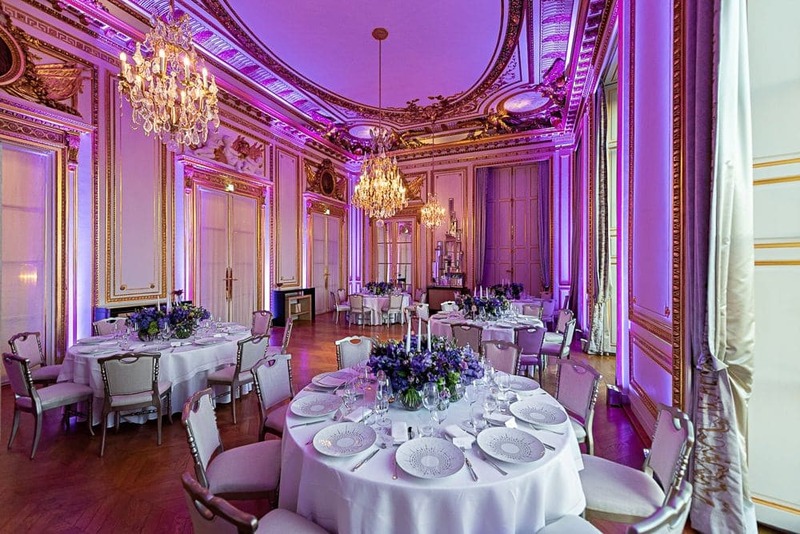 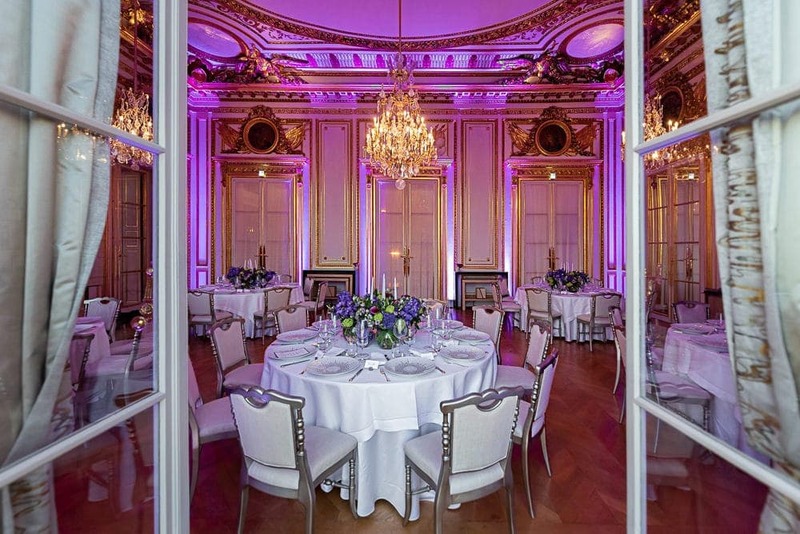 With a choice of three sumptuous salons for your wedding venue, the Crillon is a glorious venue soaked in Parisian history and glamour. 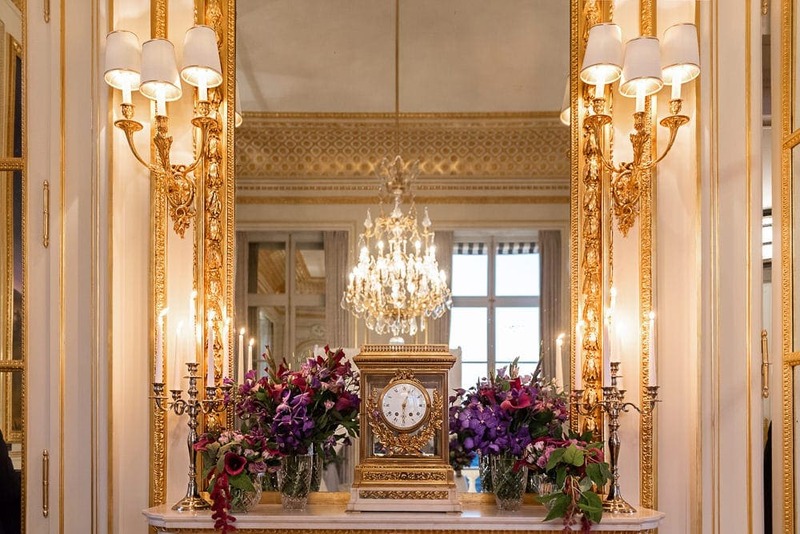 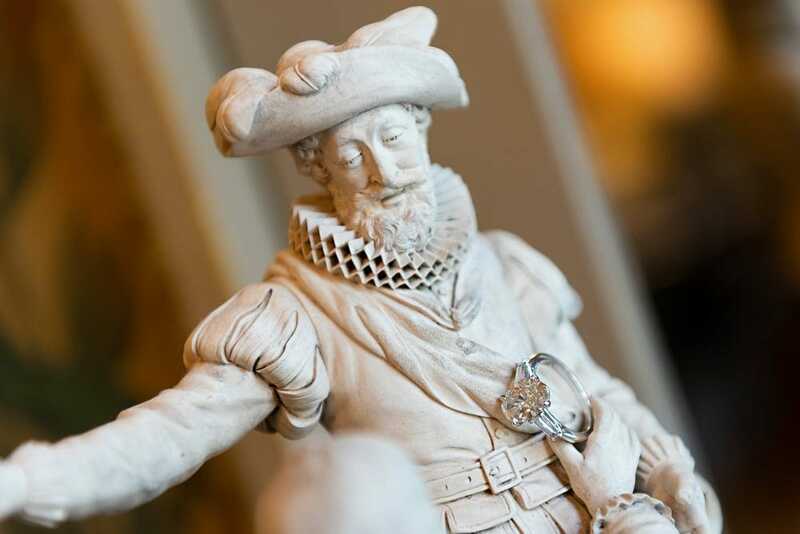 Options include the sunny terrace opening onto Place de la Concorde, authentic artworks lining historical rooms and views of the Eiffel Tower and other classic landmarks: you are utterly spoiled for choice! 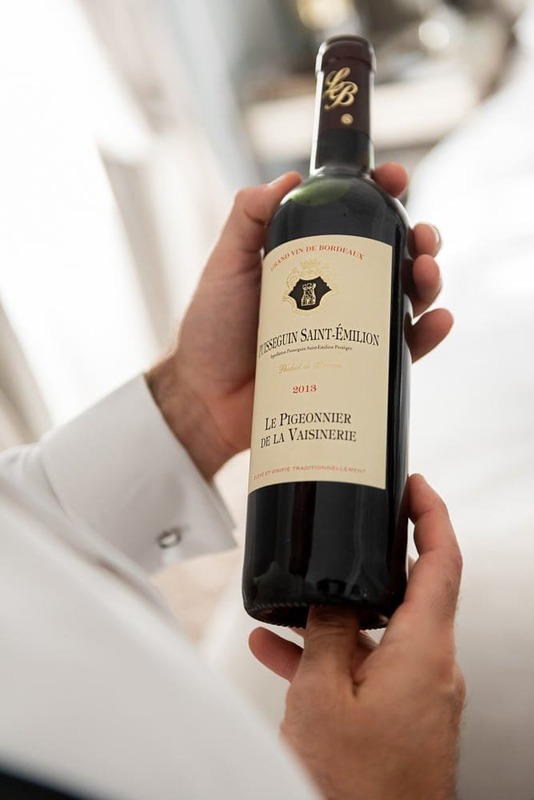 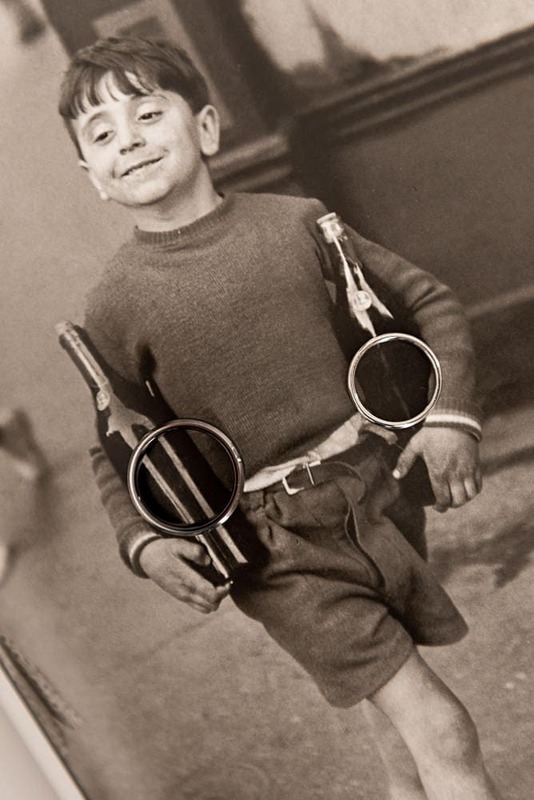 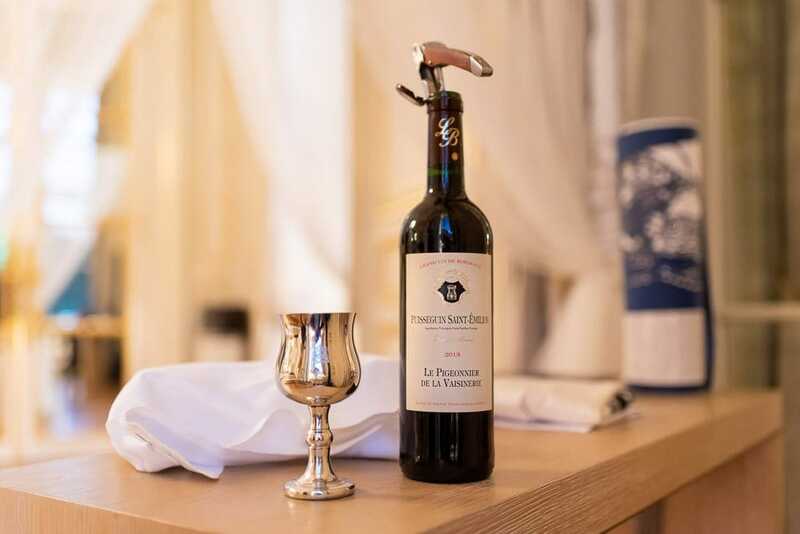 ​Michelin-starred chef Christopher Hache will dazzle your guests with his gourmet creations whilst you are served with delicious French wines and champagne. 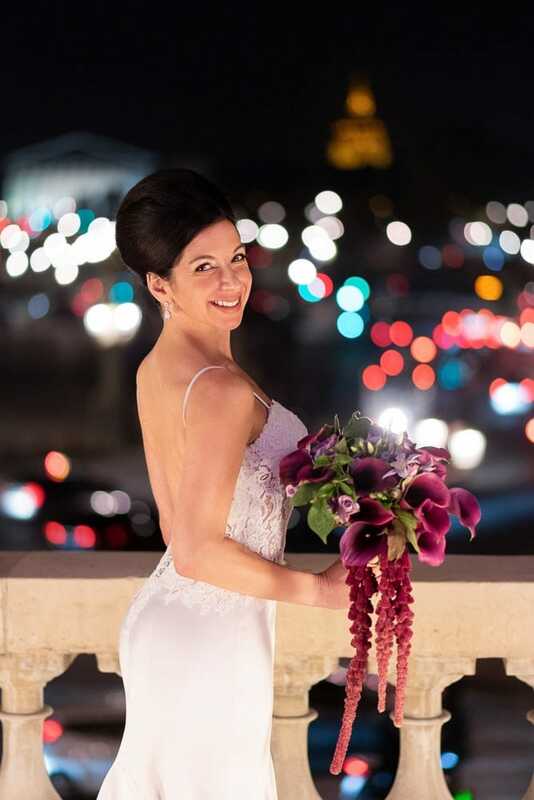 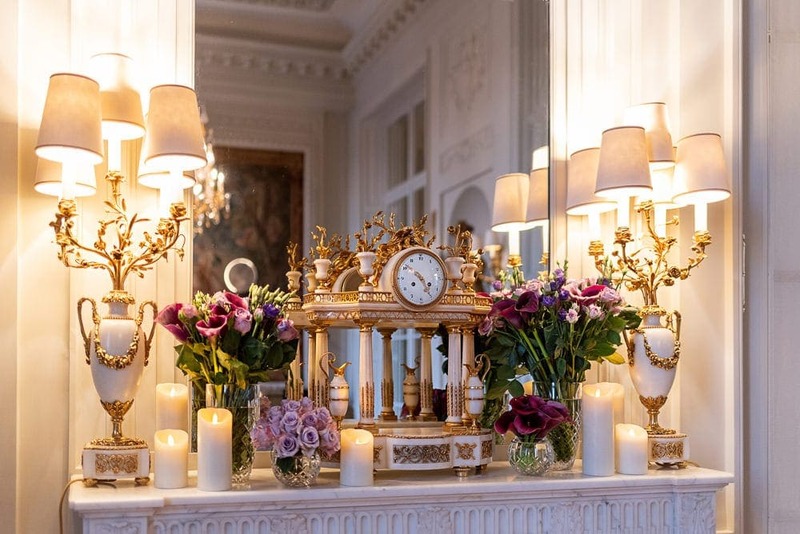 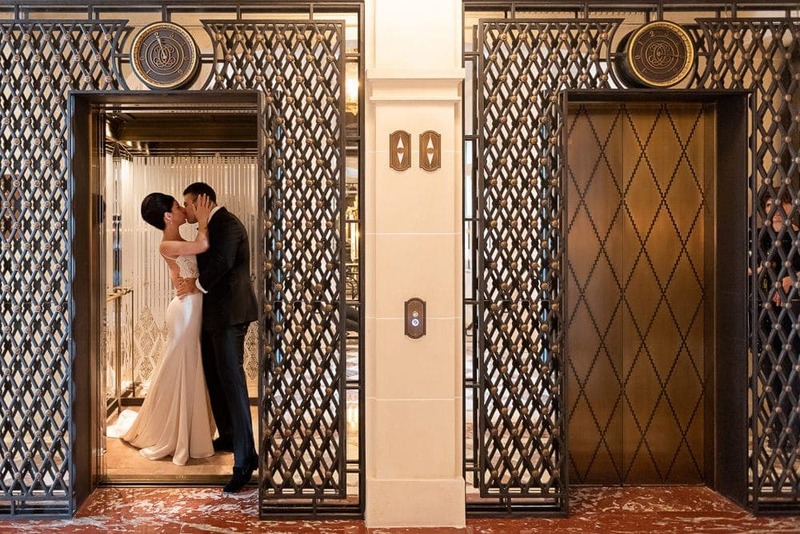 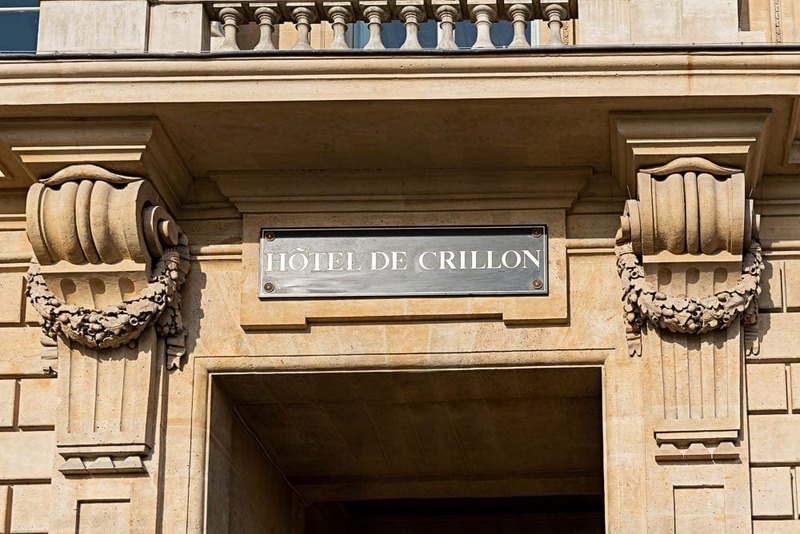 The Crillon also offers you and your guests the chance to unwind at Sense, the Bridal Spa, before the big day, as well as activities including city tours, live music in the Crillon bar, and a pool. 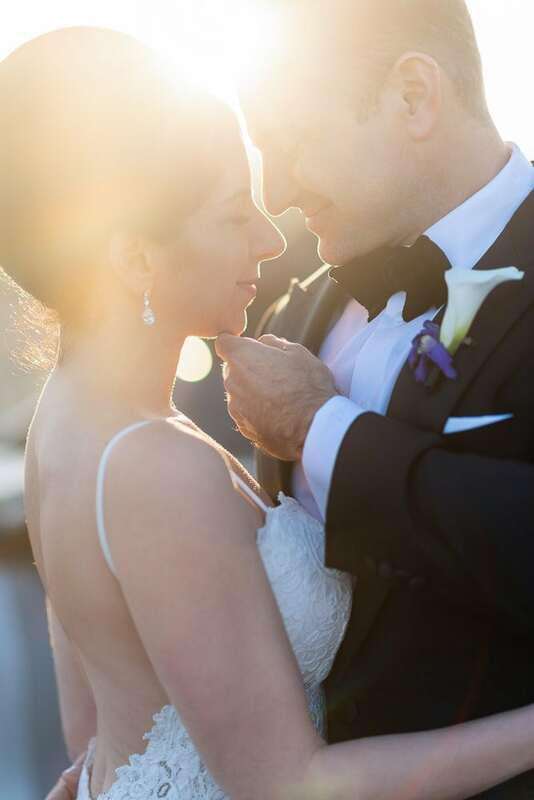 All in all, it’s sure to be a truly once in a lifetime experience. 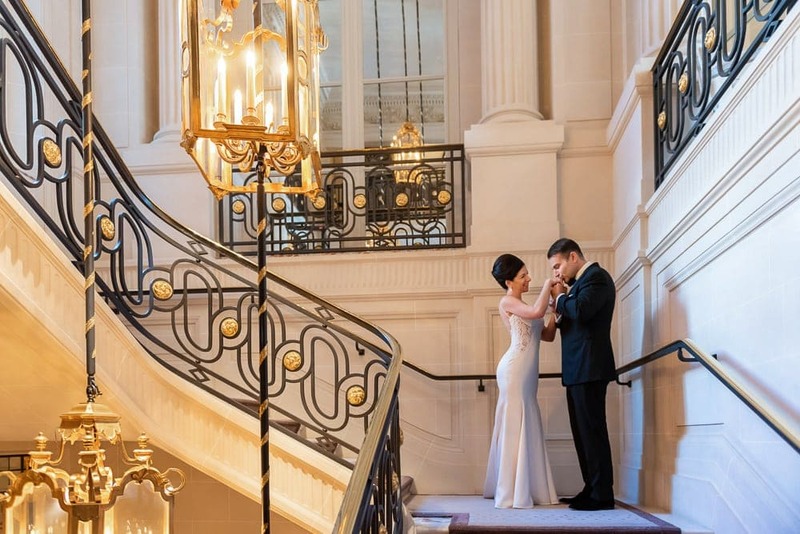 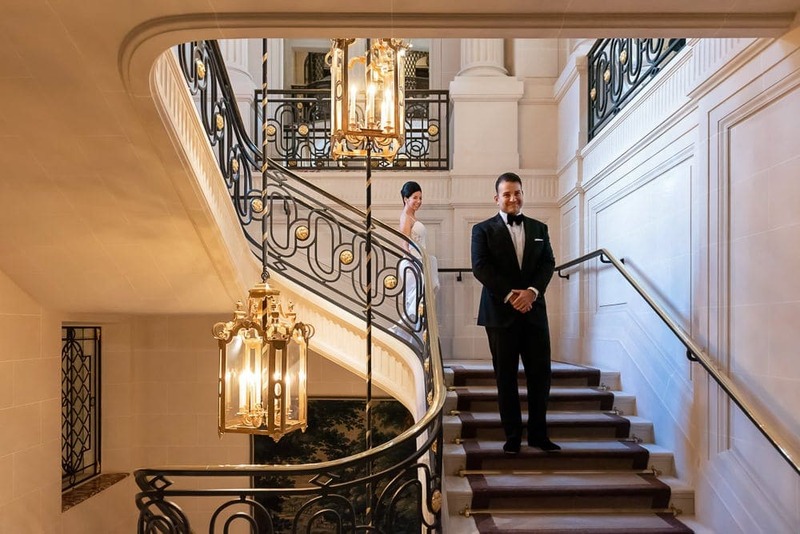 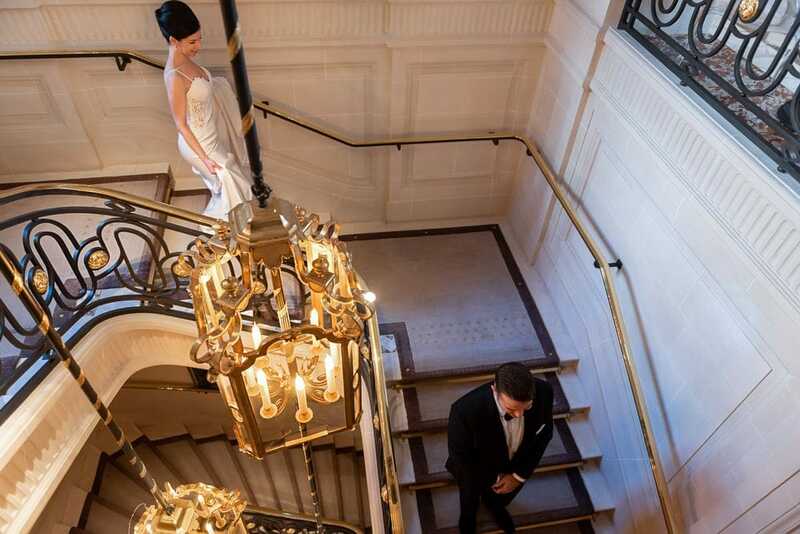 ​Alyse and Eric’s Hotel Crillon Paris wedding continued with a first look on the grandiose staircase featuring golden elements. 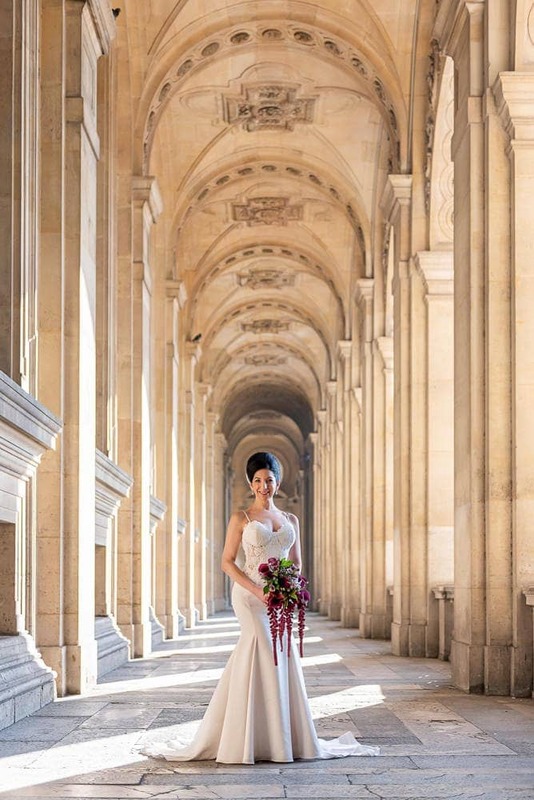 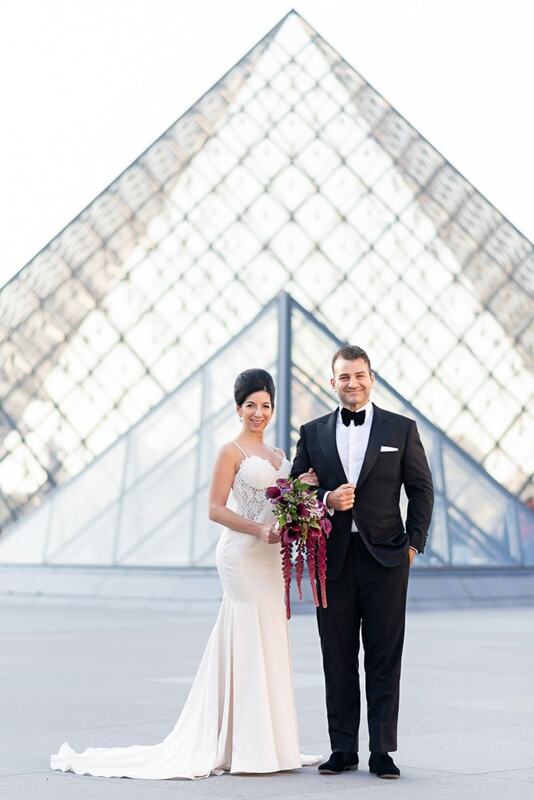 After this moment filled with emotions, we headed to the Louvre Museum for the bride and groom portrait session. 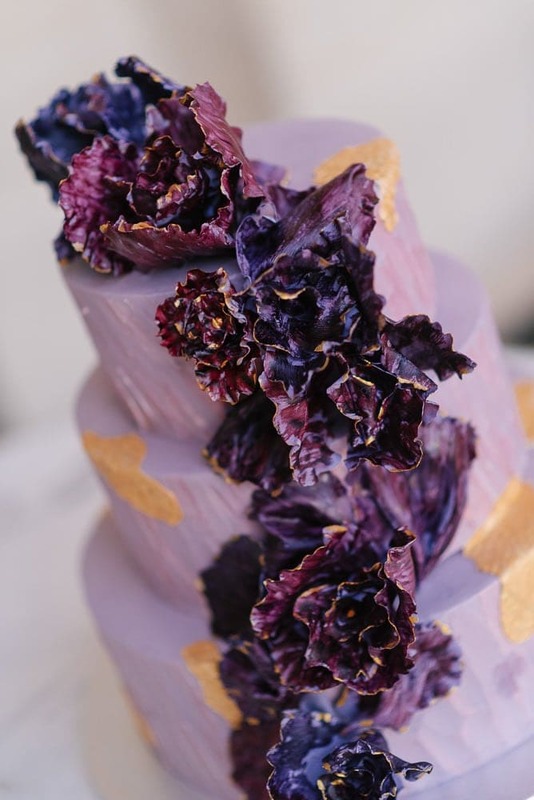 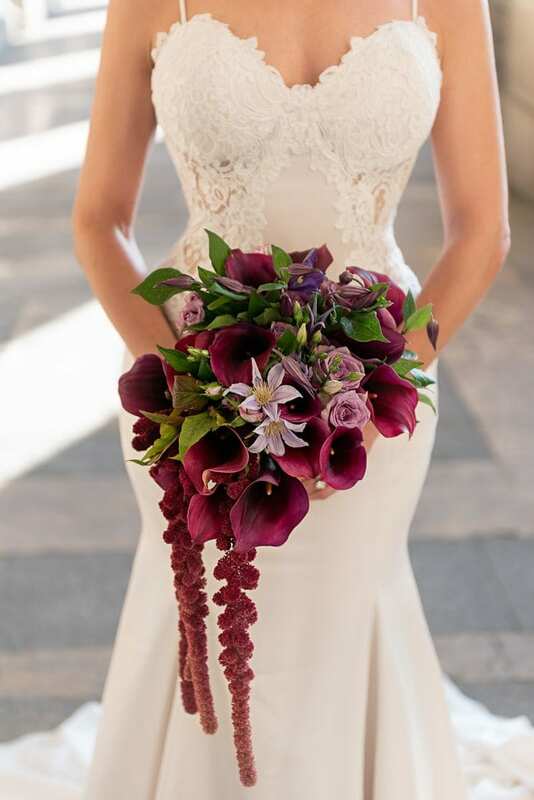 ​The bride’s unique wedding bouquet was prepared by the talented Djorde Varda, events & floral designer. 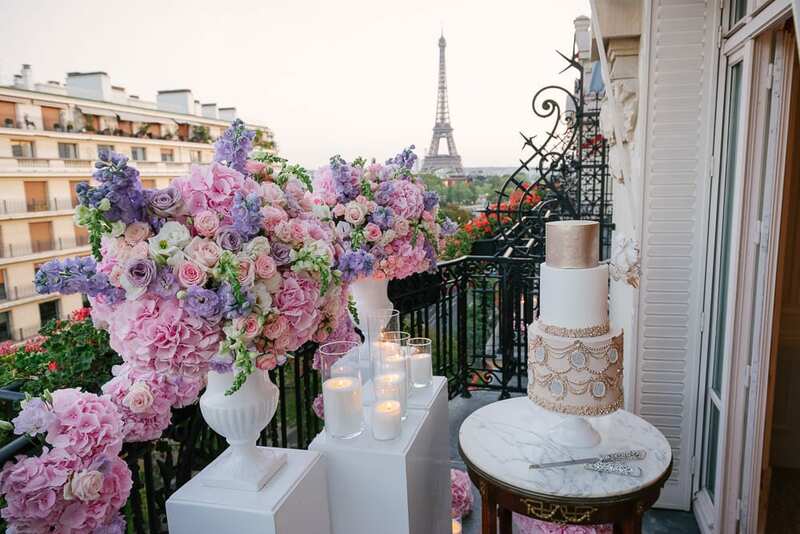 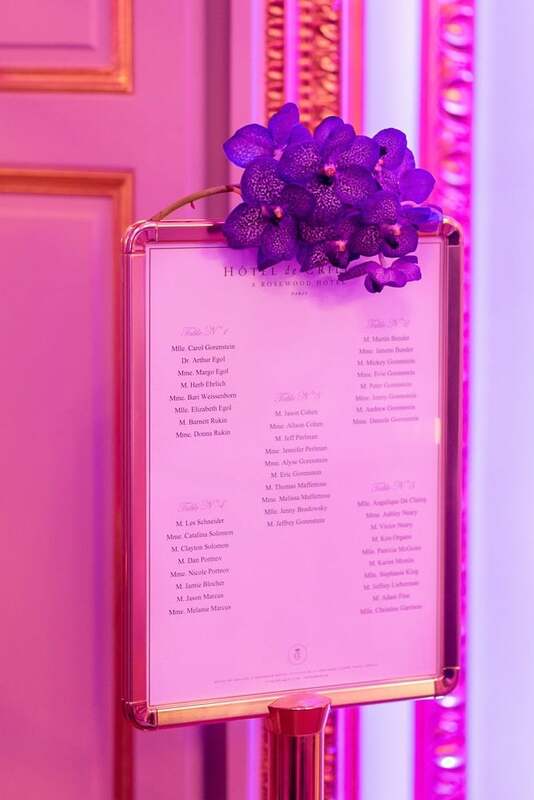 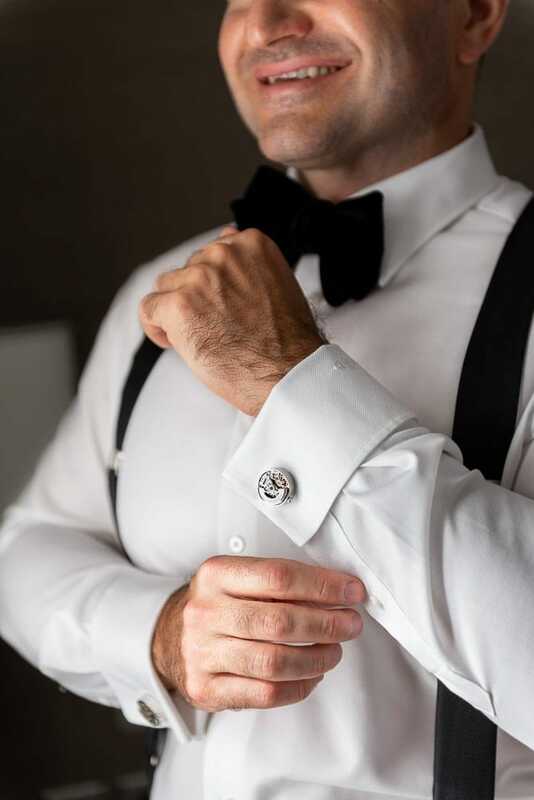 Planning a wedding can be a stressful business, which is why we always recommend getting in touch with either the Hotel’s event planners or a Paris-based wedding planner. 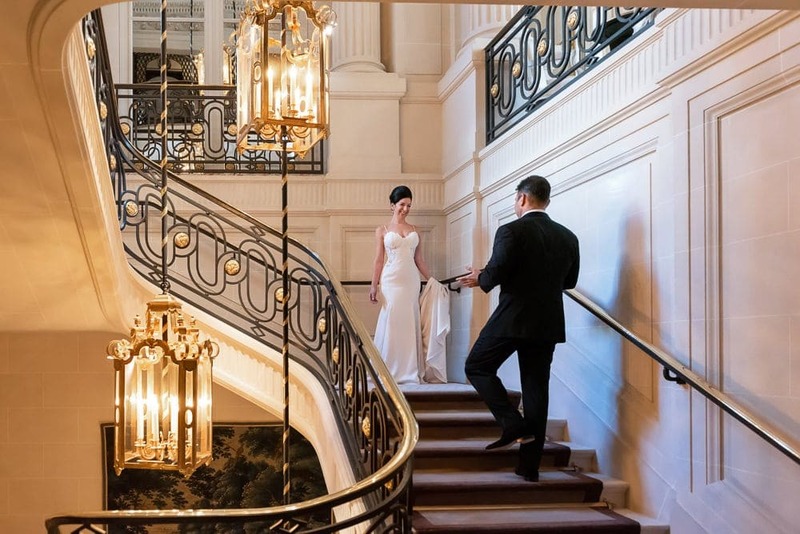 This way, you get Paris-specific insider knowledge coupled with expert knowledge down to the very last detail – leaving you both to enjoy your romantic stay in the City of Love. 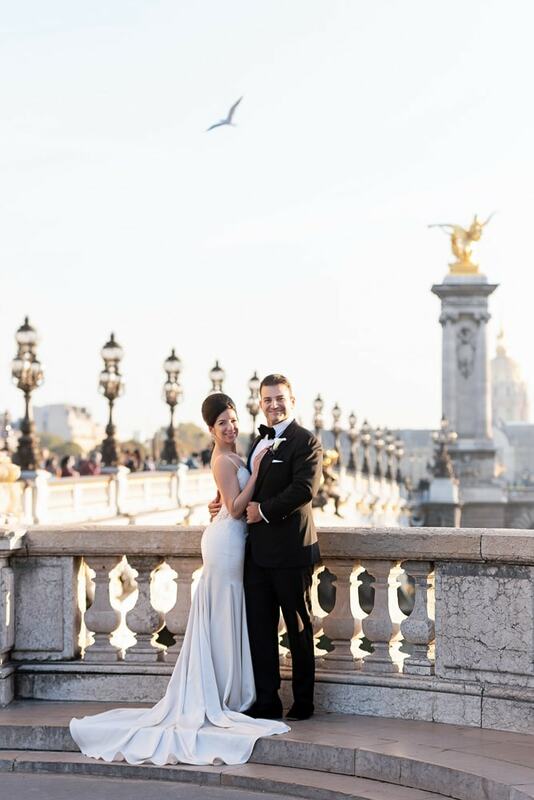 ​We’ve written a Paris elopement guide ​to all this and more, recommending our favourite wedding planners, hair and makeup artists, dress shops and car rentals to make your trip stress free! 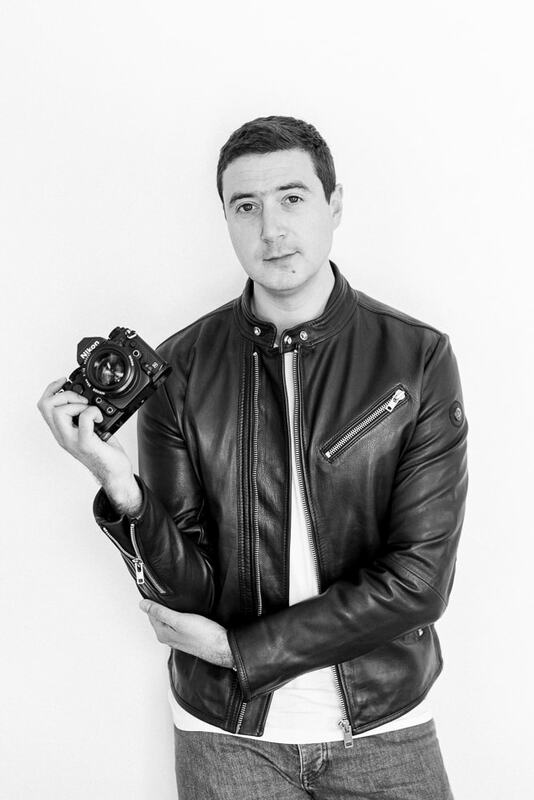 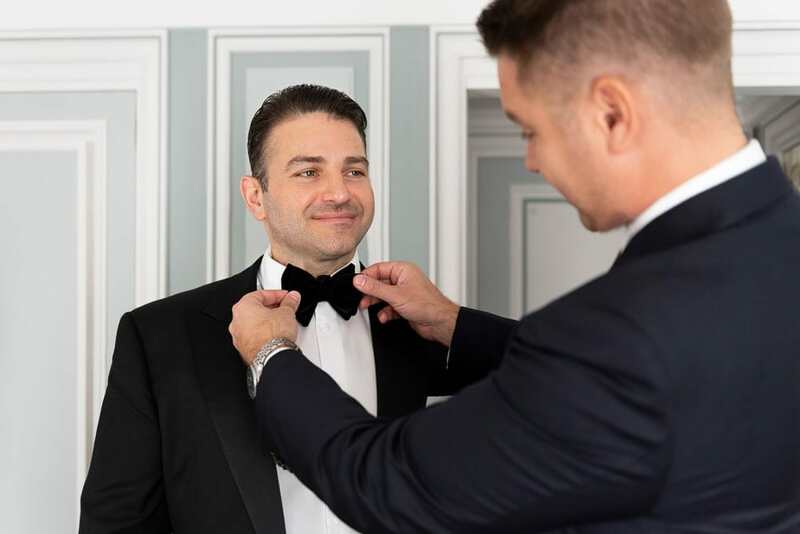 Finally, one of the most important parts of the preparations is making sure you have a trustworthy, talented wedding photographer to record the special day. 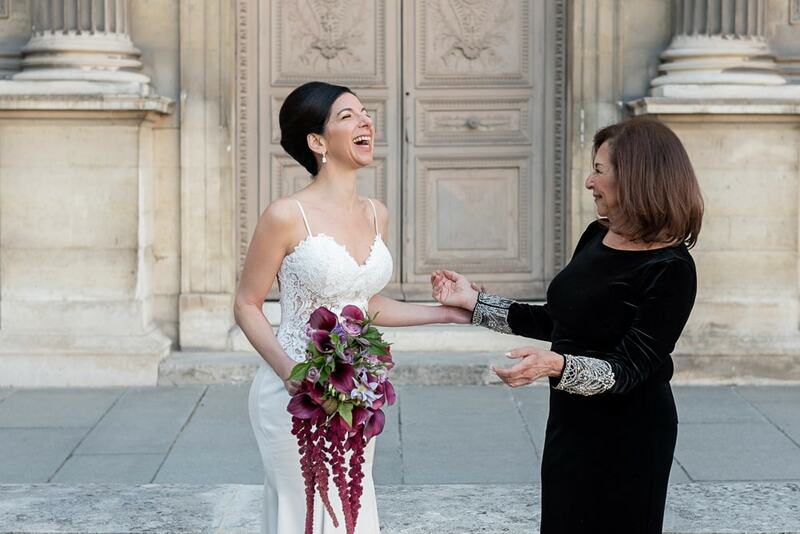 ​Our goal as a wedding photographer in France is to capture your love, the mood of the guests and the details of the wedding so that you can remember it forever with gorgeous, timeless images. 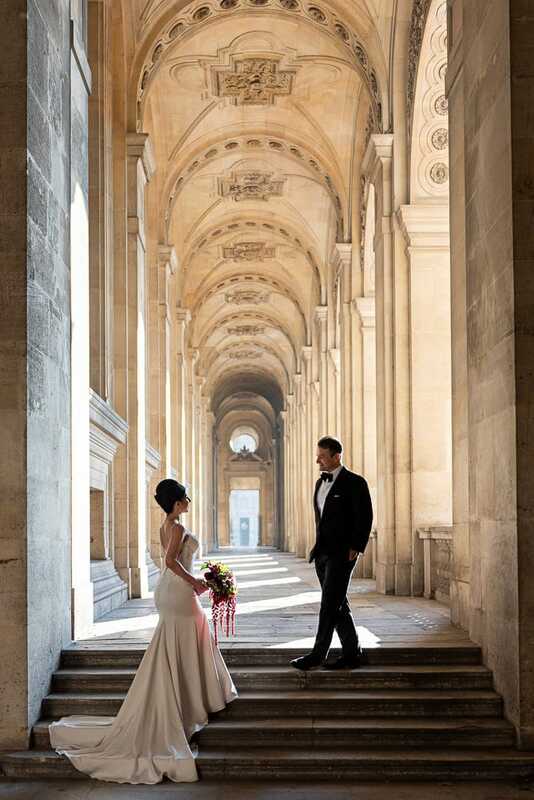 For more wedding inspiration, insider info​​​​​​rmation on how to plan your big day and examples of our wedding photography in Paris, ​let’s talk! 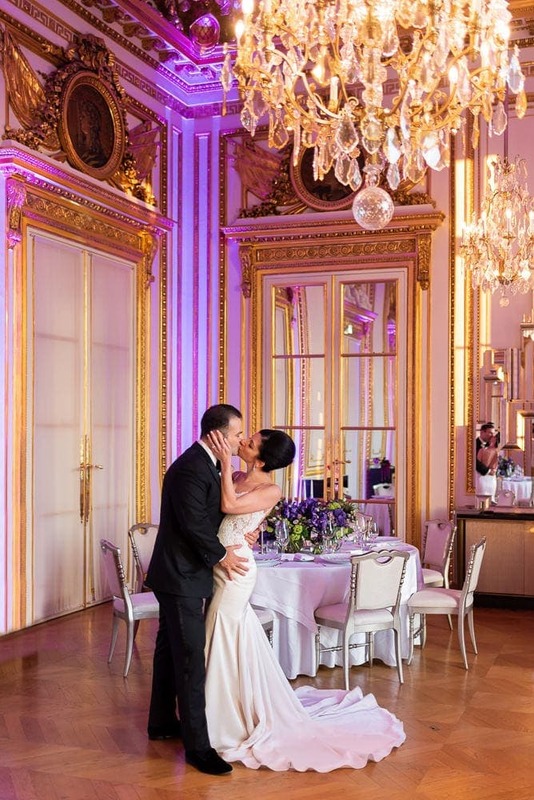 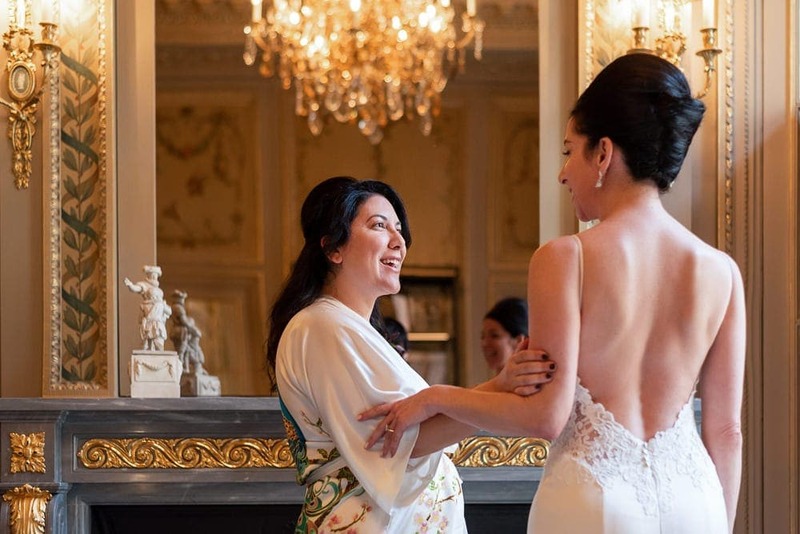 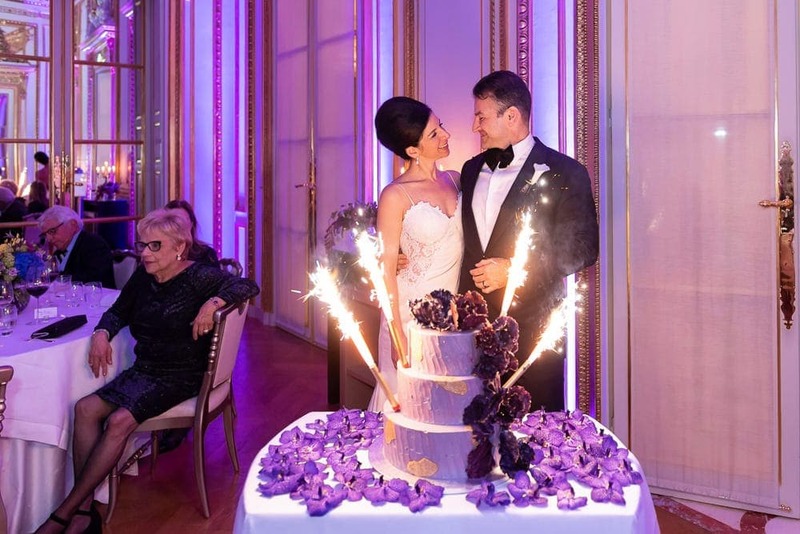 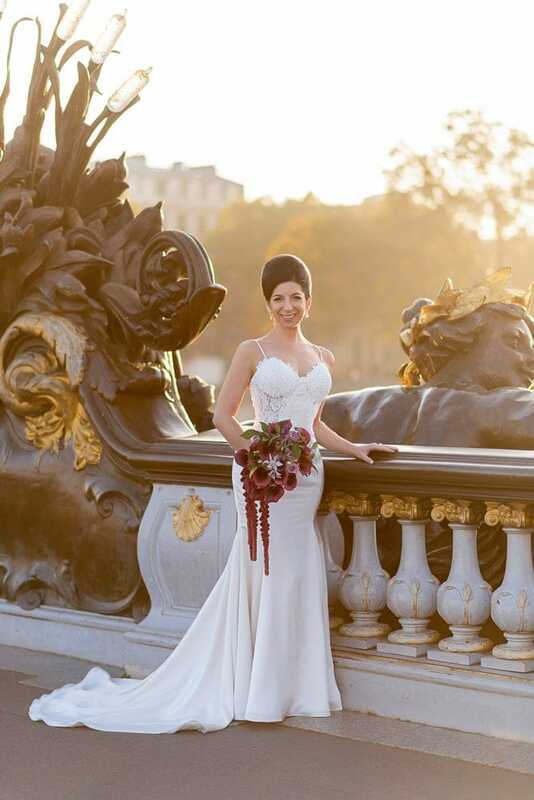 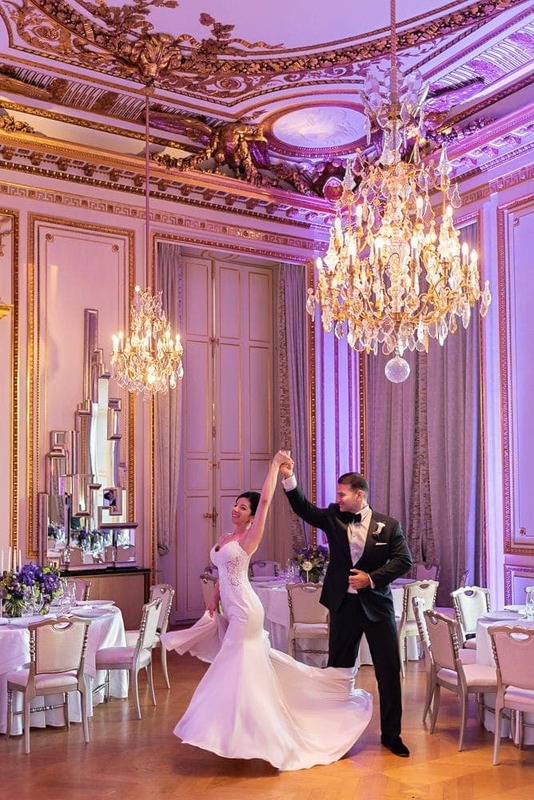 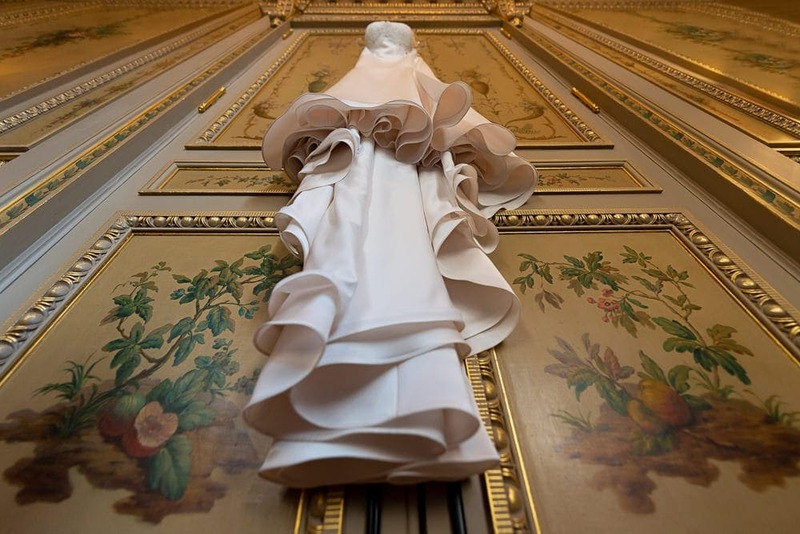 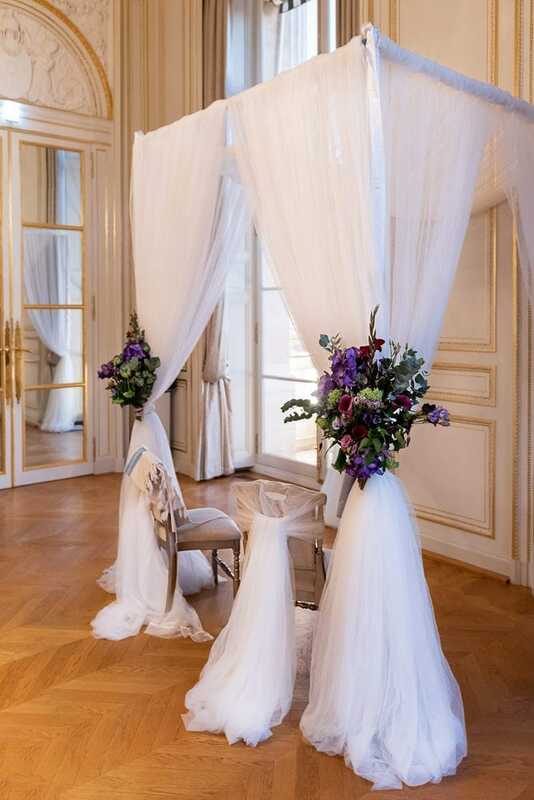 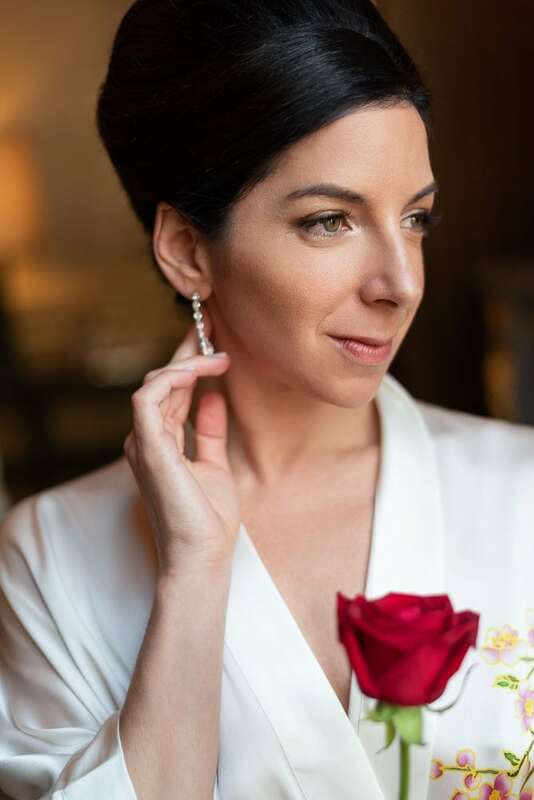 To explore more images of Alyse and Eric’s fairytale Hotel Crillon Paris wedding, scroll down and browse the wedding gallery.